Opponents use ANC veterans to discredit me: Zuma - SABC News - Breaking news, special reports, world, business, sport coverage of all South African current events. Africa's news leader. 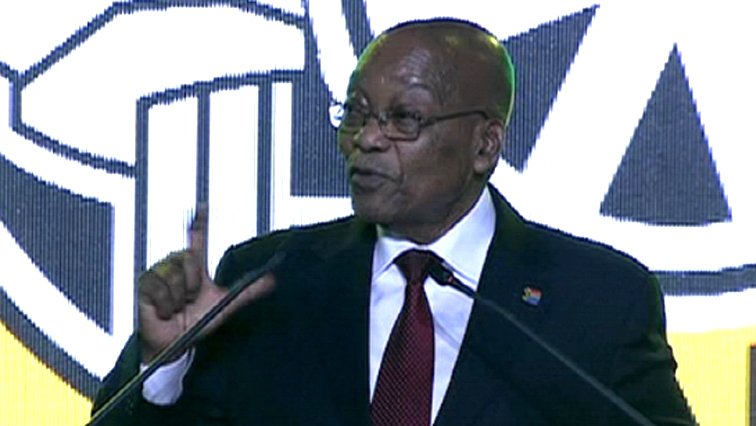 President Jacob Zuma says some of his opponents have been using the party veterans to discredit him. President Zuma’s terms of office as ANC president and head of state have been marred by allegations of corruption and state capture. This prompted the likes of former struggle icon and Robben Island prisoner the late Ahmed Kathrada to write him an open letter in which he asked President Zuma to step down. A group of veterans has called for the postponement of the ANC elective national conference due to start at Nasrec in Johannesburg on Saturday morning, citing concerns over factionalism and the alleged rigging of branch nomination processes. Meanwhile, security has been tightened at Nasrec as the ANC’s National Conference gets under way. Police have been deployed to roads leading to the conference venue and around the conference venue itself. Meanwhile, President Zuma is expected to deliver his political report which is expected to reflect on unity in the organisation. The report about the number of delegates attending the conference is also likely to be a bone of contention.